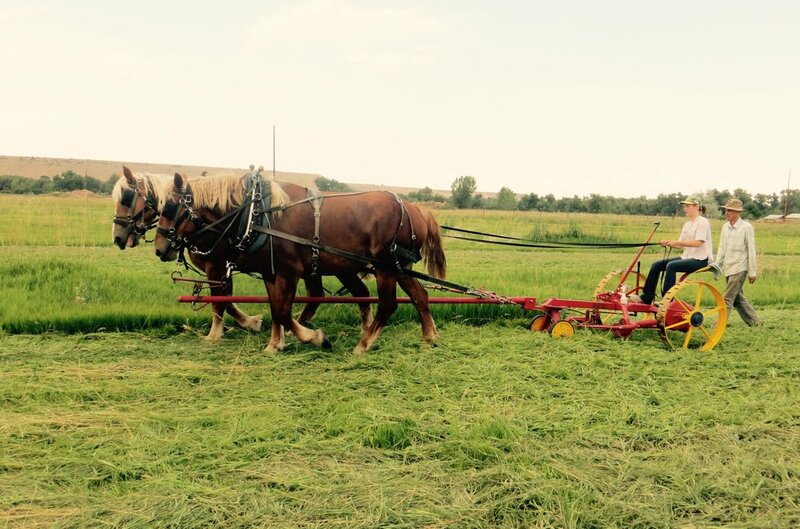 Light Root Community Farm offers a seasonal apprenticeship program on our grass-based dairy and draft horse-powered farm. The apprenticeship requires an full time commitment to the farm starting early April thru November, working long hours 5 days a week, with some weekends required too. Currently the primary operation on the farm is the small dairy and raw milk herd share program. We are looking for 1-2 apprentices for the coming season who would like to pursue the path of small dairy and biodynamic/organic farming. The apprenticeship offers a hands-on full immersion into the daily rhythm and practical art of dairy farming. This includes basic animal husbandry, daily milking chores, hygiene and quality control practices for raw milk production, grazing management, manure management and compost making, natural and holistic health care for livestock, breeding, and calf care. Farm education programs with the local Waldorf schools and local non profits are offered on the farm throughout the season. Apprentices will have the opportunity to lead groups of children in some of the basic farming activities and daily rhythms of the farm. There will also be some opportunity to work with the draft horses and learn the basics of Natural horsemanship, harnessing, safety, and ground driving as you integrate into the life of the farm. Apprentices are expected to fully immerse and participate in all aspects of the farm with a willing attitude and enthusiasm for hands-on learning. Light Root Community Farm seeks indivduals who are serious about pursuing a path in agriculture, and willing to work hard to gain practical skills and knowledge through our full immersion, working-farm, apprenticeship program. Some prior farming experience and comfortability around large animals is preferred. The farm offers simple housing, a weekly milk share, and a small monthly stipend to supplement your cost of living during this educational pursuit.